Old wood has usually reached it’s critical drying point unlike most new wood. However old wood does continue to change, but with common sense this should not be a problem. If a repair is necessary at a later date it should only involve minor adjustments. Minor changes in the seam lines of antiques can be expected. As everyone experiences the same changes, they will not affect the value of your piece. Wood as a plant contains water in it’s structure even long after a tree is felled. During the manufacturing process a substantial amount of water has already been removed to make it stable. However wood still expands or contracts as related to the relative humidity in the air. 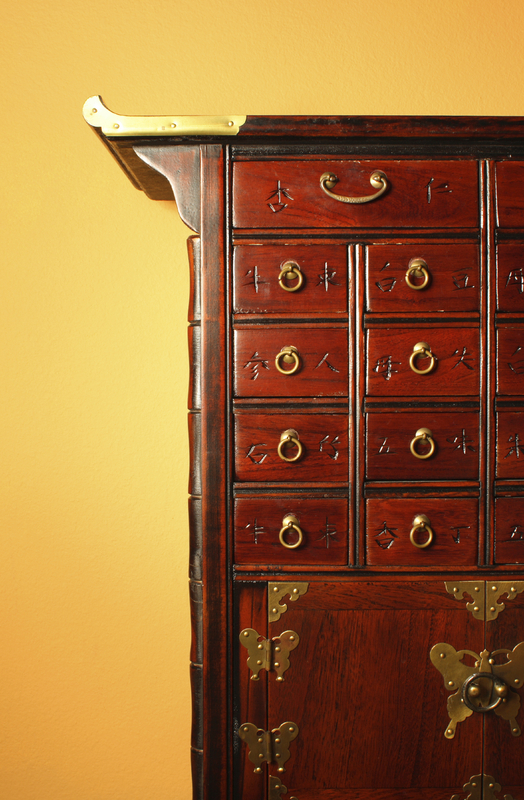 There is only one exception – wood that is literally blocked with heavy and thick lacquer. The design of our Chinese furniture’s has already attempted to cater to this behavior of wood. In particular a large surface is usually made with floating panel framed by wood members on four sides. The floating panel can expand or contract but still has its surface secure and intact. In an extremely dry environment the contraction however might reveal certain “un-colored” portion of the tongue that is inserted into the wood members. Conversely if the furniture is moved to a higher humidity environment the wood will expand and the “un-colored” portion will be concealed again. This is normal behavior for Chinese furniture. Moderate humidity is best for all solid wood furniture . Extremely humid or dry environment might inflict undesirable swelling or shrinking of a piece. To minimize harm, use humidifier, dehumidifier or air-conditioner to keep the humidity from the two extreme ends. More regular waxing of a piece of furniture can also slow down the rate of water absorption and depletion. Therefore it is advisable to put a humidifier on your heating system or in the room and to follow some simple care rules – do not place antiques in direct sunlight (use screens or blinds to block or diffuse sunlight, otherwise the piece of furniture might experience uneven color fading, the wood might also have a higher shrinking or cracking potential) – do not expose furniture to rapid temperature changes – use air conditioning with restraint – do not place furniture directly in front of or on top of heat vents. The ideal condition for furniture is a stable atmosphere with relative humidity fluctuations of 40 – 70 percent , and a temperature range of 60 to 80 degrees Farenheit. Putting a glass of water inside or under the furniture may help to maintain humidity. For certain finishes on our pieces the paint and color is made very thin to best reveal the wood grains. The wood surfaces therefore cannot withstand too much scratching. So if objects such as lamps or vases are to be placed on top it is highly recommended to shield them with soft padding or their bottom surfaces. Avoid leaving objects on the surface in the same spot for long periods as this will create unwanted discoloration. Use a clean, dry towel or soft brush to wipe away dirt and dust from the furniture regularly, always following the direction of the wood grain. Excessive dirt or grease can be removed by a slightly damp wet towel , or one having been soaked with mild and neutral detergent. The soft brush head of a vacuum cleaner is also a handy tool for picking up dust, especially bread crumbs and small pieces trapped into the grooves around the floating panels. However, use it with care and avoid poking the head directly on to the piece. Gently lay down the brush and then glide it gently and slowly over the surface. Our finishes are generally splash proof so that water spilled on to the surface will not cause harm given that it is not left for too long. Wax the furniture regularly like 2 – 4 times a year to further add protection to the piece. Use the soft paste furniture beeswax instead of the spray-on furniture polish or spray-on wax as these contain too much chemical which forms a cloudy surface and gives off an artificial gloss. Wax more often in an environment with extreme humidity levels, and when a piece of furniture is heavily used. Following these recommendations will extend the longevity of the finish as well as the overall condition of your antique so that you will enjoy it’s beauty for years to come.